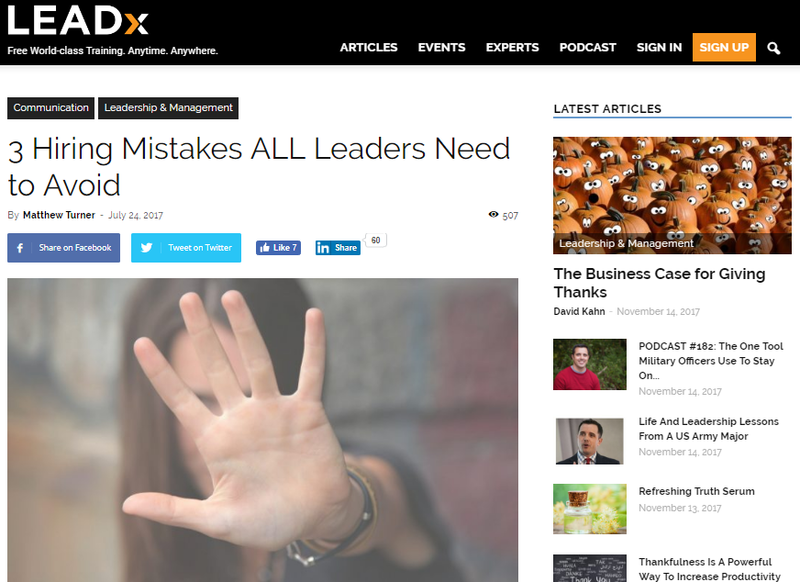 I recently published an article on LeadX.org where I focus on three mistakes that all leaders need to avoid when hiring. I wanted to tell you about this post here, and if you like what you see, you may like to read the rest. When Rameet Chawla told me a story about how he once pursued a new employee for over a year, wining-and-dining them in a bid to tempt them away from their current job, and into Fueled’s ever-growing offices, he stopped me in my tracks. As a naive and new entrepreneur, I assumed the hiring process involved writing a job description, placing it on a job-site, and then sifting through the many resumes that would no doubt follow (after all, there are a lot of people out there in need of a new job). For many people and businesses, this is the case. But as I learned whilst interviewing over 150 people for my book, this is not what successful leaders do.